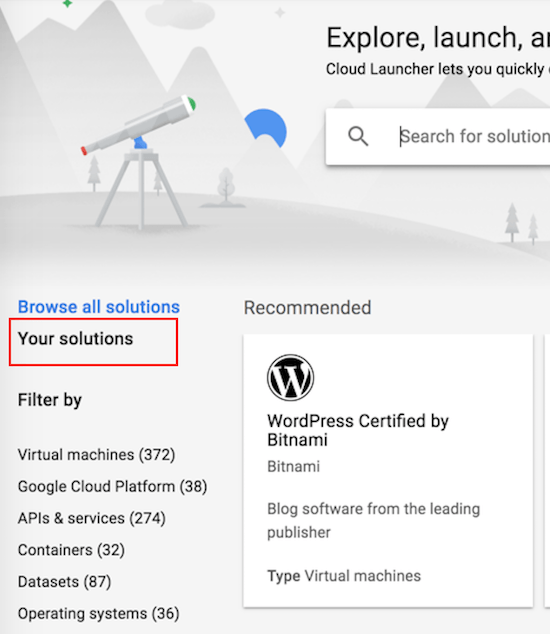 On the solution detail page, select the node you want to connect to. The main node is usually identified by node-1 or principal sufix in the name and the tag vm instance. Click the “Manage Resource” link. On the resulting page, the IP address of the node is present under the External IP section.